This tree is the smallest of three notable Torrey pines that once grew in Pukekura Park, this being the only one remaining. 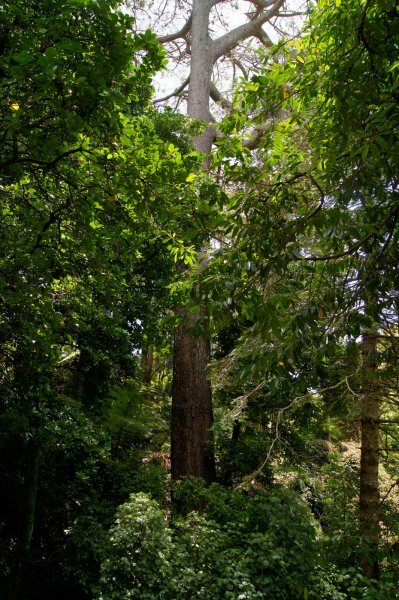 The tallest and largest Torrey pine was featured as number 64 in Burstall and Sale's 'Great Trees of New Zealand', noted as being the largest and tallest of the species in New Zealand. Burstall gave a height of 44.9 m tall and a dbh of 151 cm. 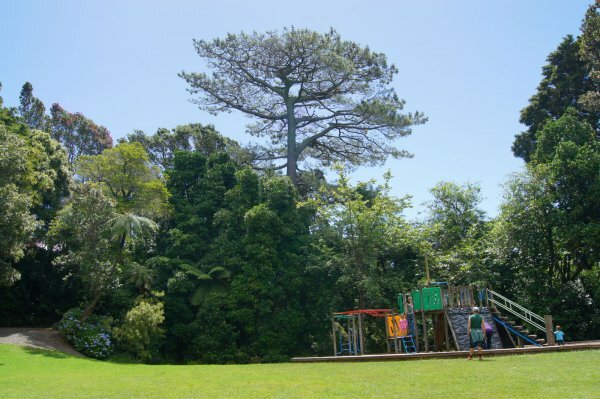 Located at the northern edge of the children's playground area of Pukekura Park, it was struck by lightning in 1994. George Fuller and Cory Smith remeasuring the tree in 2001 recorded a height of 41.9 m, a dbh of 159 cm and a spread of 29.5 m. Extensive rot as a result of the lightning strike in 1994 eventually led to the removal of the tree in 2004. Another Torrey pine, only slightly smaller, was located behind the cricket pavilion of the sports ground. Measured in 2001 by Fuller and Smith at 40.0 m in height, a dbh of 152 cm, and a spread of 26.5 m, it too was removed, in 2005. The remaining Torrey pine, recorded here and formerly overshadowed by the largest, remains standing over the children's playground, just inside the Gilbert Street entrance to the park. It is an impressive tree, with a wide spreading crown, but has not reached the dimensions of the two other specimens. Janssen and Hollman, in their book “Trees of New Zealand” note the estimated height of the remaining Torrey pine at 40 m – the height reading taken for this record is somewhat less. Girth measurement taken 1.4 m above mid-slope.